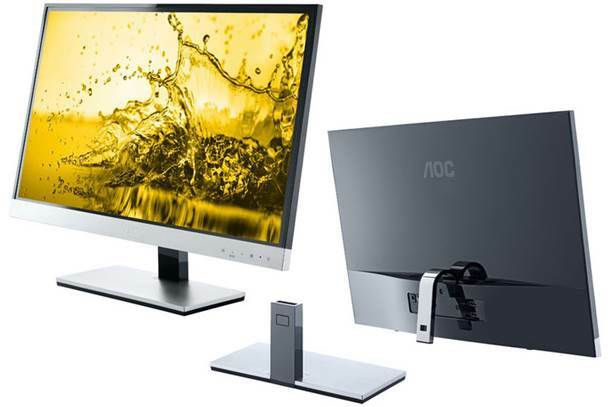 The last AOC display I reviewed, with a built-in iPhone dock, didn't impress me. 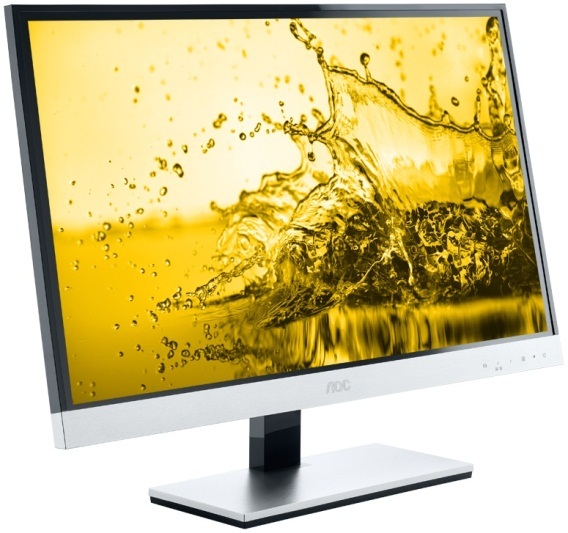 The limitations of that design were soon erased when I took delivery of the new AOC d2757Ph and its Film-type Patterned Retarder (FPR) 3D technology. This is a very stylish design, where the panel frame is hidden from view by an edge-to-edge outer surface. It's also remarkably thin (10.6mm) and has the sort of elegant lines that I'd normally associate with very expensive brands. A classy exterior isn't often a guarantee of the quality within, but powering this screen up, I couldn't help but marvel at how crisp and colourful a display that AOC can make these days. On paper, the specification of the d2757Ph speaks volumes about the market that AOC imagines it will conquer. Its 27", panel corner to corner, has a natural resolution of 1080p and offers three inputs, two of which are HDMI, and the other is VGA. That's an unusual combination, and points to a mix of gaming and movie watching objectives. 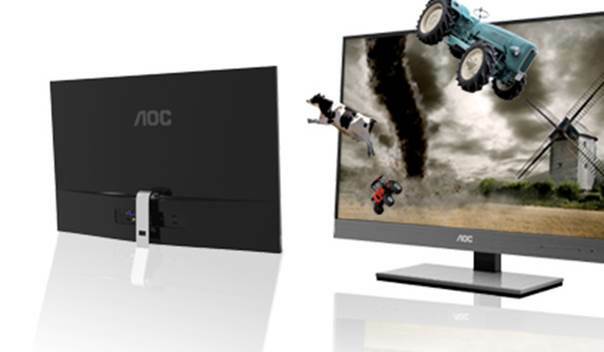 Support for 3D technology fits that profile, and AOC has included the passive variety. Passive 3D uses cheap polarized glasses, and AOC provides two pairs, one ordinary and another that's designed to clip onto prescription spectacles. The caveat with 'passive' over 'active' 3D from a PC perspective is that NVidia's 3D Vision mode doesn't support it. 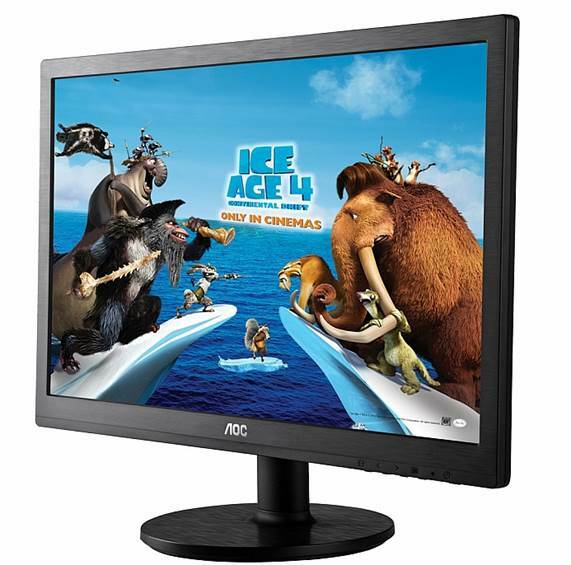 Previously AOC provided an OEM version of TriDef 3D software with its passive screens, but not this time. Here you simply hit a touch button on the bevel to flick into a pseudo-3D mode with whatever is happening on screen. In testing, I discovered that the ideal viewing position is directly centred at between 5ft to 6ft away from the monitor. This generates a subtle, but hardly dramatic version of the depth effect that we're all familiar with. The problem is that it's trying to interpret depth from each still image, and that's never going to compare well with software calculated results. There are two types of 3D available, generally referred to as 'passive' and 'active'. An active system uses expensive glasses that have LCD shutters that close and open to each eye synchronising with different images being displayed on screen. Passive glasses use polarised lenses and filter out one of two overlaid images shown at once to each eye. The downside of the passive mode is that by definition the image is half the resolution to each eye, creating a slight loss of quality. But it doesn't suffer the 'flickering' that some people experience with active glasses, and it's much cheaper to implement. The 3D effect is the same in both instances, as that's normally created in the source material. 3D isn't a strong point of this design, but I'd suggest that screen clarity and colour saturation certainly are. I hope that some bright spark will work out how to enable this for proper Nvidia 3D Vision support, and then the depth impression could be markedly better on this hardware. 3D isn't a strong point of this design, but I'd suggest that screen clarity and colour saturation certainly are. The IPS panel gives excellent 178/178 viewing angles, and unlike some of this type, I wasn't aware of excessive smearing when games or movies deliver rapid movement. That's good, because it's typically a weakness of IPS designs over conventional TN panels. How could AOC have made it better? The lack of a VESA mounting point is one annoyance, and the screen surface is very glossy, resulting in some reflection issues. The mounting problem does have an interesting aside, which is the angled bottom screen edge that allows for the foot to be removed, and the screen to sit flush with the desk. I've not seen this done before, and it works rather well. Gamers might want a faster refresh rate and active 3D, but for most other users this is a very fine and large display that's not painfully priced. Overall, given the low price, you get plenty for your money. It's ideal for a children's bedroom, where they might want to watch videos from a distance or play console games with the same screen as they use for their PC. Gamers might want a faster refresh rate and active 3D, but for most other users this is a very fine and large display that's not painfully priced. It's also worth noting that it has a warranty period of three years, including an on-site exchange service.